Big Savings on Garmin 220 & 620! Home › Latest News › Big Savings on Garmin 220 & 620! 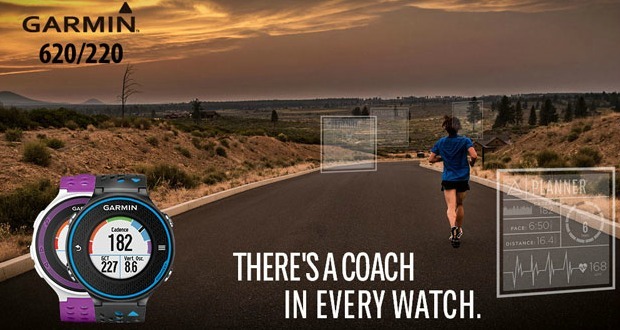 If you've had your eye on a Garmin Forerunner 220 or 620, NOW is the time to commit to one! Starting TODAY, (May 18th- May 25th), you can save BIG with mail-in rebates on the 220 and 620! To receive a $50 mail-in rebate for the Forerunner 220 or $50 mail-in rebate for the Forerunner 620 stop into Fleet Feet Annapolis or Severna Park! BONUS: This purchase will go towards your Personal Rewards account, earning you a $25 store credit! You can't beat these amazing savings! Let this be the extra boost you need to kick start spring training! Stop in TODAY! How do YOU keep track of your mileage?